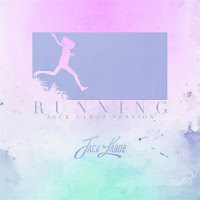 More of a version than a remix, Brooklyn-based producer/vocalist, Jack Laboz, gave his take on HtPkt's "Running" by adding his vocals and an assembled melodic backdrop. Released today on Laboz's SoundCloud, the track still embed's the original's vocalist, Celestial, but also contains complementing heartfelt vocals by Jack himself. He gives his version a soft breakdown with twinkling piano-like use and pulsing bass.